This section is currently under construction. 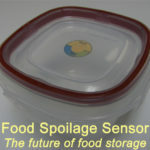 Feel free to download the Smart Food Storage Technology Overview (below) for a preview in the meantime. Sorry for the inconvenience. Please contact us if you have questions or comments.